Minneapolis, Minnesota (and the Twin Cities proper) has a large amount of drug-related arrests yearly. Pot and alcohol are most frequently abused, while heroin, prescription opiates (painkillers), and methamphetamine abuse continues on an upward climb in terms of treatment center admissions. The Drug Enforcement Administration (DEA) has a substantial presence in the Twin Cities, as they do in the rest of the state, and they are supportive of outside efforts to help curb the city’s drug problems. In 2016, Minneapolis finally began to receive federal funding, earmarked as it was due to the region’s status as a High Intensity Drug Trafficking (HIDTA) stronghold. Consistent with present statewide (and national) trends, the abuse of prescription opioids is not only a problem for those who use, but also with the children of those who use who steal the medication to sell on the street, or otherwise trade for pot or alcohol – preferred substances for their own personal usage. If you live in Minneapolis, and have fallen victim to substance abuse don’t hesitate to seek treatment. There are enormous resources in at your disposal. Treatment center admissions for meth abuse will continue to increase, until federal funding reaches a point to where this particular ongoing issue is more effectively contained. For yourself, your friends and/or your family, we advise that you continue to be aware of your community’s substance issues, and suggest that you join in Minneapolis various educational efforts to curb drug abuse. Regularly check The Recover for updated information. Awareness and communication, as ever, is imperative to any such efforts. Minneapolis, the larger of Minnesota’s Twin Cities (with Saint Paul and adjoining suburbs) is the county seat of Hennepin County, and the 16th largest metropolitan area in the country. The city has an estimated population of just over 414,000. The city’s total area is 58.4 square miles, of which 3.5 square miles is water. The city is notable for maintaining one of the country’s largest LGBTQ communities, and a thriving performing arts scene. 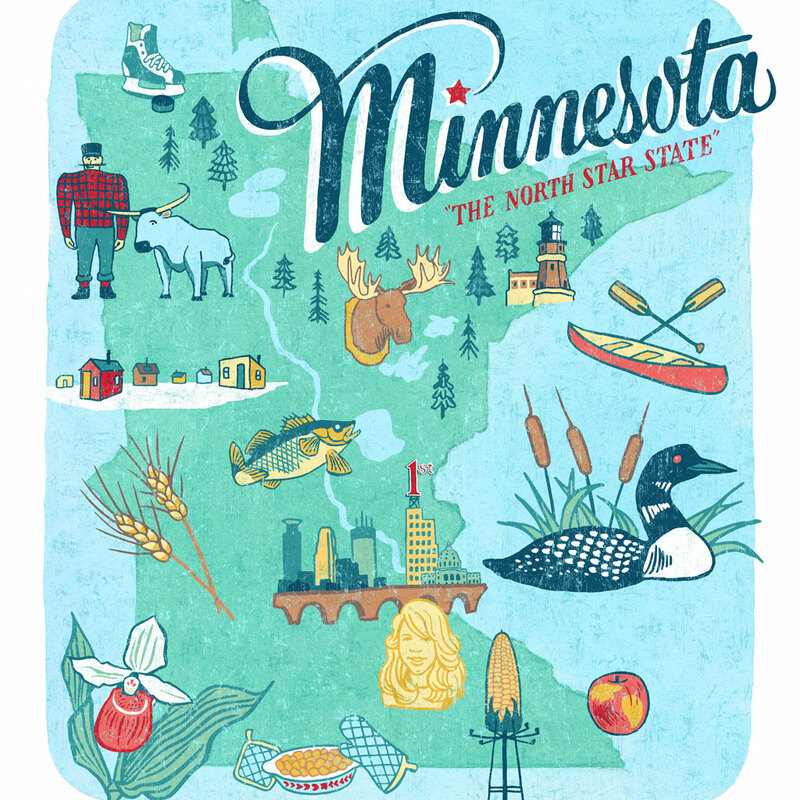 The Twin Cities comprises the second-largest economic center in the Midwest, behind Chicago. 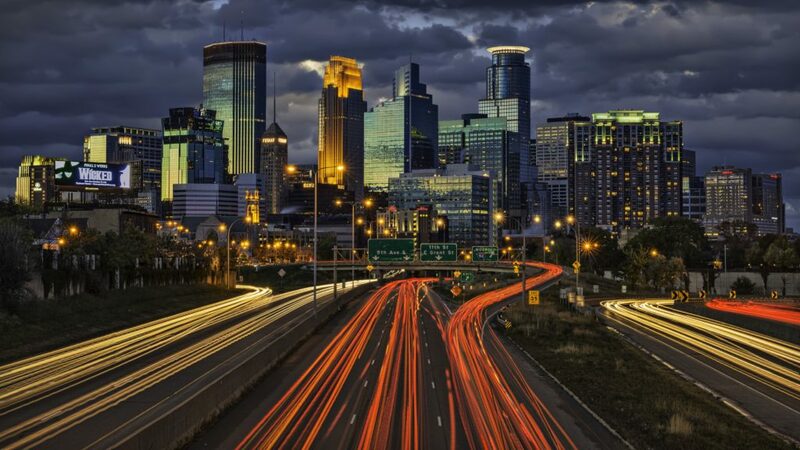 Fortune 500 companies with their headquarters in Minneapolis include Target, U.S. Bancorp, Xcel Energy, Ameriprise Financial and Thrivent Financial. Racial makeup is 64% Caucasian, 19% African American, 11% Hispanic or Latino of Any Race, 6% Asian, and 2% Native American. Pacific Islander, “Multi-Cultural” and “Other Races” rounds out the rest. Minneapolis shares a similar drug culture with much of the state. Pot and alcohol are most popular with young people, college-aged and below, followed by heroin. For those older, prescription opiates and the abuse of methamphetamine are the city’s largest problems. Treatment admissions for cocaine is below the national average, but like many such admissions still typically shows poly-use, or more than one drug in the system at the time of treatment center admittance. Heroin use is growing in conjunction with usage in the rest of the state, especially as misuse of painkillers fails, after time, to deliver its desired effect on the part of the user. Any examination of Minneapolis’ drug problem, however, should include statewide statistics for perspective. 637 Minnesota residents died from drug overdoses in 2016, a 9.2 percent increase over 2015 (583 deaths). The state’s drug overdose death rate is presently nearly six times higher than it was at the beginning of the millennium. There were 392 traffic fatalities in 2016. Nearly 60 percent of the fatal overdoses, or 376 deaths, involved opioids (including heroin and prescription painkillers), other synthetic drugs and cocaine. Prescription painkillers were responsible for 186 of the aforementioned 376 deaths, despite a decline in the number of prescriptions written for the drugs. Though representing a relatively small faction of the state’s population, drug overdoses of all types have hit the African American and Native American communicates particularly hard. In 2017, African Americans were more than twice-likely to die from Caucasians from a drug overdose, and Native Americans were six times as likely to die of a drug overdose than a Caucasian abuser. Drug Trafficking Organizations (DTOs), as with many large cities, are common, which adds to further difficulty in containing the state’s drug problems. But here’s a note to consider: When you read statistics such as this, always realize that you are who matters. If you are successful in weaning yourself from your drug or alcohol habit, you will be in a position to pay it forward and ultimately help others do the same. By the midpoint of 2013, accidental opiate overdoses in Hennepin County were 69 in total. For the entirety of the calendar year 2017, those numbers exceeded 300. Just over 13% of all 2017 Minneapolis treatment center admissions were due to prescription opiates (painkillers) as the primary cause. Treatment for overdoses of which heroin was the primary cause was over 16% in 2017, up from 13.6% of treatment admissions from 2013. The combined 2017 statistic for opiate and heroin treatment center admissions were second only to those due to alcohol, at 47%. Emergency room visits due to heroin abuse increased nearly three-fold from 2013-2017. Abuse of most synthetic hallucinogens (inclusive of cathinones, or “bath salts”) accounted for a small percentage of both emergency room visits, and treatment center admissions, and continued to drop off sharply year-to-year from its height in 2010. Conversely, the synthetic hallucinogen phenethylamine (synthetic stimulants) increased in its percentage of treatment center admissions for the first time since 2015. Cocaine has dropped as both a primary and partial cause of treatment center admissions from 20.6% in 2013, to less than 20% in 2017. In 2013, pot use among 11th grade high school students broke down as follows: 1) 31% of all males and 24% of all females used the drug recreationally. 2) Marijuana as a primary cause of accounted for over 16% of treatment center admissions in 2013. 3) Nearly one-third of those admitted for pot abuse were younger than 18. Estimated 2017 statistics for citywide marijuana usage were consistent with 2013 figures, plus or minus a statistical margin of error of 3%. Treatment admissions for meth as both the primary, and a cause in conjunction with poly-use, has been on the upswing since 2013, when it accounted for 9.4% of said admissions. In 2017, meth use accounted for over 11% of all treatment center admissions. Heroin and meth treatment center admissions are expected to follow current trends and end the calendar year 2018 at an all-time high as it regards both admissions and fatalities. Alcohol remains the major issue for the Twin Cities, accounting for an average of nearly 50% of all treatment admissions since 2013, consistent with national figures. The drug issues in Minneapolis, and the Twin Cities proper, are strong. In 2016, Minneapolis, as part of a HIDTA (High Intensity Drug Trafficking Area) stronghold, finally began receiving federal funds to fight its drug issues. Pre-intake is the process whereby a concerned user believes they may have a problem, and they begin the process of seeking help. Frequently, if trust is not an issue, one will turn to a loved one – a family member or a friend – and casually inquire as to their thoughts on getting help for what may be a “problem.” If trust is an issue, however, the safety of internet research to find helpful resources is always an option. Always remind yourself of this: Help is always out there. If you look online, you will find several resources to guide you. We are happy you have found The Recover, as we are dedicated to your success. You have answered the questions and you have decided to get help. Good job. We commend you. During the intake application process, you will be required to list your prescription medications and days and times taken (if “none,” you check “none”), an authorization of medical care, a list of allergies or other medical issues, and a waiver of responsibility. Some applications ask for more. A physician or treatment center representative will then review your application for the proper steps, and treatment.